One night in 1936, Sylvan Goldman, owner of the Humpty Dumpty supermarket chain in Oklahoma, sat in his office trying to figure out how to get customers to buy more groceries. Observing clients as they shopped, he noticed that many of them were struggling to carry the normal shopping basket provided, particularly the moms with kids. Once they got to their limit of what they could carry, they stopped shopping. That’s when he came up with the idea of the first shopping cart with wheels. At first, the idea was not well-received. Men found it effeminate and women thought it was suggestive of pushing a baby carriage. One woman angrily told Goldman, “I’ve pushed my last baby!” To combat this, Goldman hired a number of male and female models to “shop” and push the carts around, as well as having greeters who welcomed shoppers and explained how the carts were to be used. From this little invention, Goldman became a multimillionaire. Today, the new “shopping cart with wheels” is Amazon. One of the reasons for its success was the invention of “1-Click” ordering, patented back in 1999, along with a number of innovations for making buying EASIER. But in every application – from retail stores to selling IT services– sales INCREASE when businesses make it easier for their customers to buy. The drive-through window, originally started by the banking industry, was picked up by the fast food industry and instantly drove more sales from busy customers who wanted to ‘grab and go.’ Now it’s used for everything from drive-through funerals to weddings. A good question for you to work on to improve marketing and sales for your MSP business: What are the SPEED BUMPS in the way that slow down your clients from buying from you? 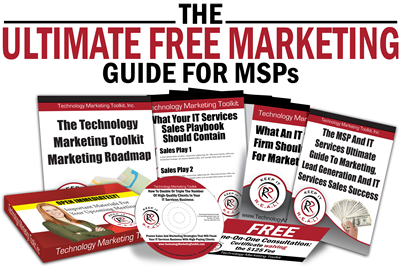 What is keeping getting new MSP clients? Are you requiring a lengthy contract? 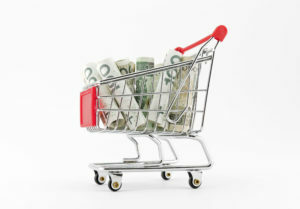 Is your buying process difficult? Ugly? What are you doing to take the RISK OUT OF BUYING, which is another huge impediment to getting someone to switch providers (the devil you know is always better than the devil you don’t).